Dermatologists, skin care experts, health advocates and even Dr. Oz are encouraging us to avoid many of chemicals found in our cosmetic products and nail products. Those include Paraben, Phthalate, Petrolatum, Ethyl Alcohol, Isopropyl Alcohol, Thimerosal, Oxybenzone, Triclosan, Mercury, Benzoic Acid, formaldehyde, acetaldehyde, and Synthetic Fragrances. That is quite a list! 1) If you are looking for paraben free make-up, go to the Ulta Beauty website and type “paraben free” into the search bar. They have over 500 paraben free foundations, eyeshadows, lipsticks, sunscreens, hair care products and so much more. 2) You can also find 1378 results at Sephora when you search for “paraben-free” products. To find safety information on specific products, check out the EWG’s website called Skin Deep, the online database of nearly 25,000 personal care products. You can search the database for specific brands or ingredients, or for product types like nail polish, to see how brands within that product class compare. You can also research the safest products to use on your children, including sun care products. 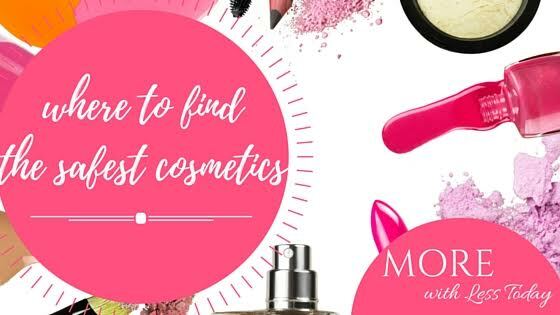 I have found that the best method is to type in the brand name of the cosmetics or products that you use or have a question about like Mitchum or Burt’s Bees. If you don’t narrow it down, there is so much information to sort through. The Free APP, Think Dirty is available to download from iTunes. It is currently in Beta in the Google Play store. 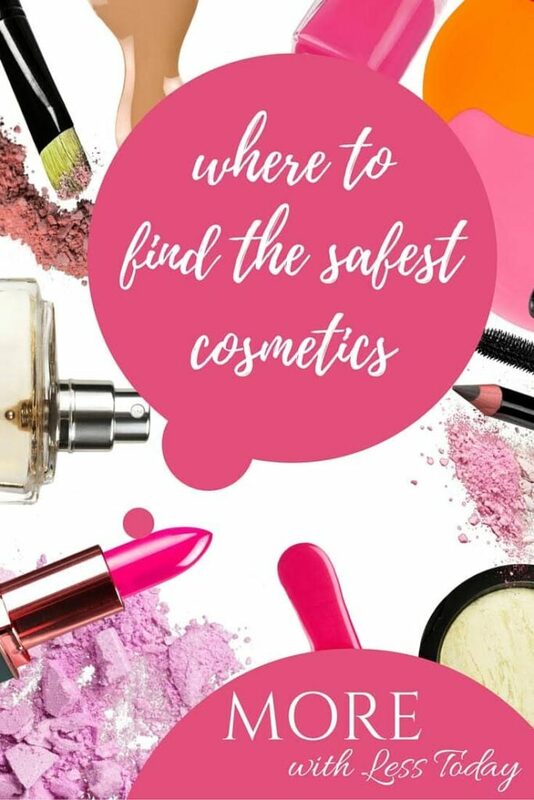 What one of the safest cosmetic products have you found to be the most effective? Which product are you planning to try from the Paraben-free product list? Where to Find Paraben-Free Cosmetics + Save Money! I like to use the free retail coupon database from Savings.com whenever I shop online. You can search below for current promotions from your favorite cosmetic stores: Simply type “Ulta” or “Sephora” or into the search bar and be directed to today’s best promotions.